A toddler has shot and killed his mother at a Walmart store. She had a gun in her handbag. And her 2-year-old son reached in to play with it. 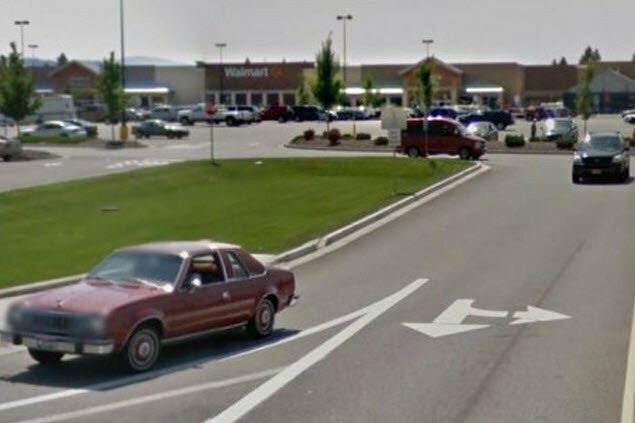 A woman has been killed when her toddler son pulled a handgun from her purse and fired it accidentally at a Walmart store in northern Idaho. A statement from Kootenai County Sheriff’s Office said preliminary investigations showed the 29-year-old woman was shopping with her two-year-old son and other family members when the shooting took place. Police said the child was sitting in the trolley when the accident happened. Image via Google Street View. “Her son was seated in the shopping cart and accessed the victim’s concealed weapon from her purse and discharged it, striking the victim,” the statement said. Lieutenant Stu Miller of the Kootenai County Sheriff’s Office said on Twitter that the shooting appeared to be accidental. Hayden is located in Kootenai County, north of Coeur d’Alene. Local KREM-TV reported that the woman had been shopping with four children when the shooting occured. The woman’s identity was withheld by authorities pending notification of next of kin. This article originally appeared on the ABC website and has been republished with permission.